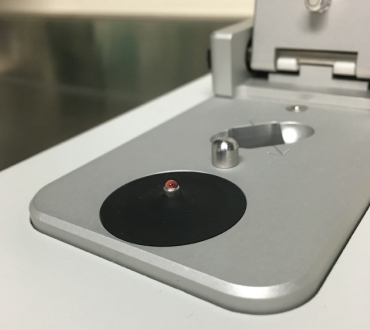 Spectrophotometers measure light absorbance in a sample, a property which allows determination of DNA, RNA and protein concentrations, cell culture density, and (SRM) color. With specific chemical reactions, light absorbance can also quantify many key beer characteristics such as bitterness and polyphenol content. 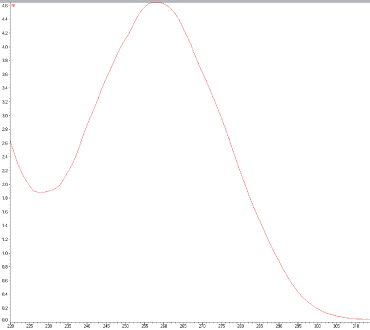 The UV-Vis absorption spectrum of a DNA sample prior to our bacterial identification test. 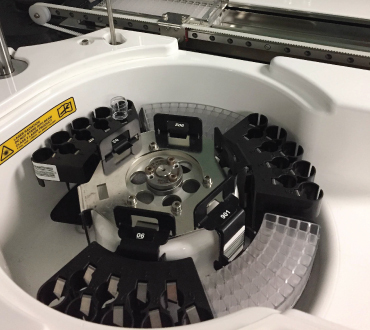 The Nanodrop 2000c spectrophotometer requires just one millionth of a liter of sample for measurements.